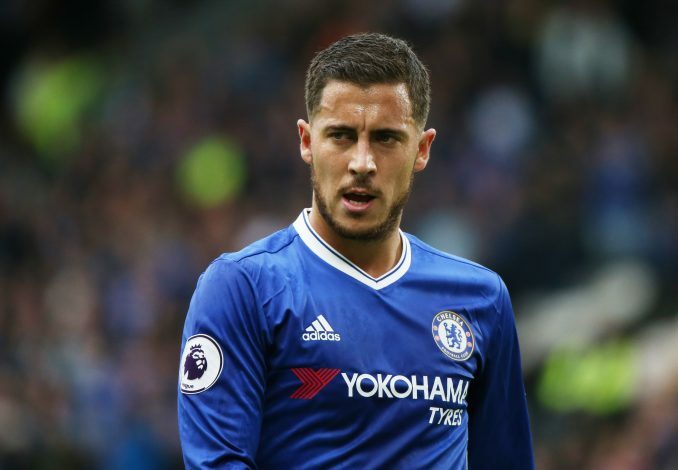 La Liga giants Real Madrid have reignited their interest in Chelsea star Eden Hazard, according to reports in Spain. After enduring a torrid campaign last season, Eden Hazard has returned back to his best under Antonio Conte this year, having already scored 10 Premier League goals in 24 appearances to help Chelsea to the top of the table. Naturally, a reborn Hazard has also led to a return of some clubs that were formerly interested in his services – one such team being the reigning European Champions, Real Madrid. As per Diario Gol, Real president Florentino Perez is looking to launch a formal bid for the Belgium International, so as to prize him away from Stamford Bridge in the upcoming summer. In fact, Perez seems to have already contacted the 26-year-old’s representatives behind the scenes, and an initial negotiation is reportedly underway. Hazard, for one, would certainly relish a chance to play under Zinedine Zidane – the man Hazard has idolized since his youth. However, with a year passed since that interview, the former Lille man could now be more open to a move away from London, and if that does happen to be the case, Real Madrid will surely break the bank to secure his services. The Spanish source’s report further adds that along with Eden Hazard, Real have also identified Manchester United’s David De Gea, and Juve’s Paulo Dybala, as potential transfer targets, since Perez looks to bring in a new group of Galacticos to the Spanish capital.